then eat it when you come home... Moose Swiss Steak is a wonderful meal that will satisfy your taste buds. Prepare this meal before you head off to work or do it the night before, turn it on when you leave and be welcomed home to a houseful of aroma that will start your mouth watering. We love this recipe, although we don’t seem to cook it often enough. Moose Swiss Steak - Try it today! In a skillet heat Olive oil and brown moose meat. My wife loves to cook, but she tends to cook more exotic meals than just a standard Swiss steak recipe. That being said, the task of cooking this meal is usually left up to me. It is an easy dinner idea that I can handle without any problem. I don't mind cooking once in a while but if I want my wife to cook this one; maybe I should try some carnations? The acid in tomatoes helps to break down the tough fibres in the moose meat and make it tender. You will find that you will not need a knife to eat this meal. Tip: The sugar cuts the acidic taste of the tomatoes. Serve to your company and don’t tell them it is moose meat, until after they have eaten this moose recipe. They will be surprised that they were not eating beef. Are you interested in the health benefits of steak? Helen Nichols of Well Being Secrets recently wrote a guest article titled 31 Science-Backed Health Benefits of Steak; based upon actual research the article explains the benefits of steak. 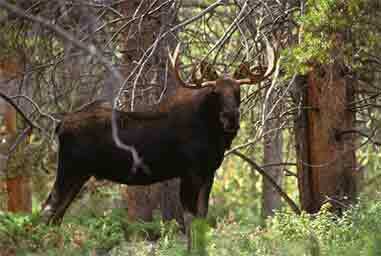 While not specifically aimed at moose meat, you can find some great information there. Only Moose Meat - or? By the way... you do not have to limit yourself to just moose meat for this recipe... any venison will work. Caribou meat, bear meat or even wild boar meat will suffice. Do you enjoy eating Moose Meat? Moose meat recipes are something that all moose meat eaters are looking for, please share your recipes, here. 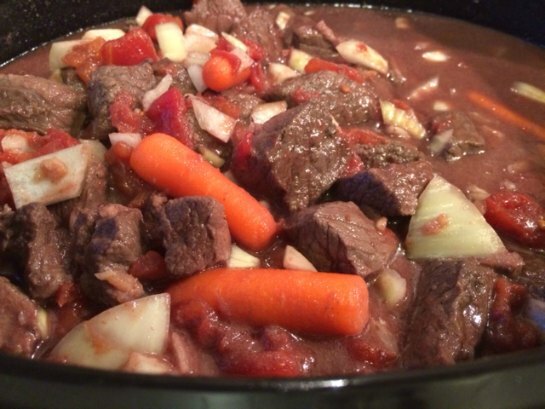 I am also looking for variations of this recipe, if you consider yours to be the best moose Swiss steak recipe, please share. We will all thank you.